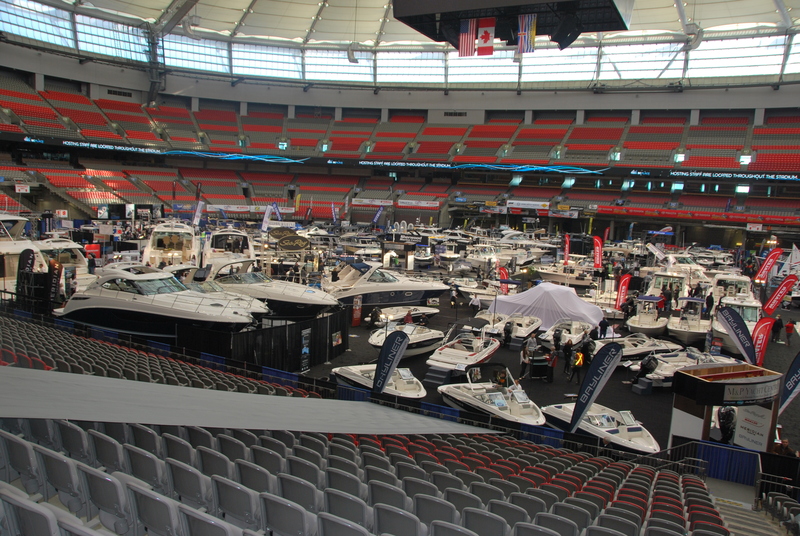 4 days until the Vancouver Boat Show! Can you believe it’s that time of year again? The best time of year, in my opinion. It marks the near beginning of the cruising season and what better way to start than with the Vancouver International Boat Show? There are so many great vendors, suppliers, marinas, information booths and people that it makes me giddy just thinking about it. As you may know Burnaby Power & Sail Squadron is there every year in cooperation with Discover Boating. We’re stationed on the playing field level (with all the great new boats) and this year iCom has been kind enough to give us a handheld VHF radio to raffle off. The boat show starts at 10:00 this Wednesday January 21st and the show ends at 17:00 on Sunday January 25th. Don’t forget there are two locations again this year. The floating show on Granville Island and the “dry dock” show in BC Place. Free shuttle buses run continuously between the main entrance of BC Place and the Floating Show at Granville Island Maritime Market and Marina. Free water ferries also run continuously between the two venues (BC Place pick-up and drop-off is at Plaza of Nations, outside #11/Gate D). We hope to see you there. Come by the booth and say hello to our wonderful Burnaby Squadron volunteers, enter to win a radio and maybe even buy a boat! I know I love hearing the horn go off every time a boat is sold.